Then, what is good about the Local Production Local Consumption Model? In this model, producers can sell their products at a local market in their community. That means intermediary costs can be reduced, such as transportation and packaging costs. Moreover, they can reduce the loss of their marketable products. Since they do not have to deliver over a long distance, their products are not damaged in delivery. Furthermore, they can sell their products without caring too much about their shape and size since local markets usually do not have strict standards for the product shape and size. Another good thing about local marketing is that producers can directly communicate with consumers. Such direct communication can make it possible for producers to grasp their consumers’ preference, receive their feedback about the products, and utilize the feedback for their next production. That’s a good cycle of marketing, isn’t it? In this model, there are several different value chain patterns. I would like to introduce three major patterns. 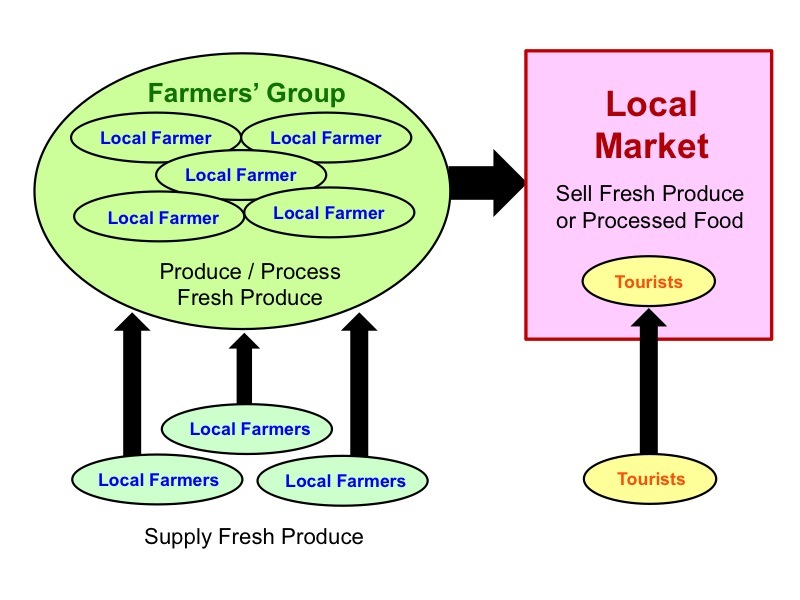 Figure 1 is the most simple value chain type, where producers sell their produce at a local market nearby. 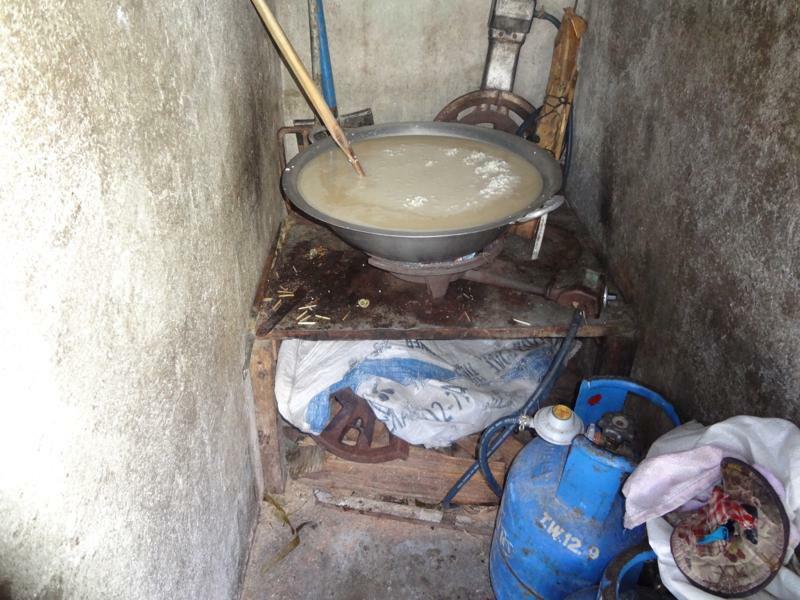 Figure 2 shows a simple food-processing business. An individual who produces a certain kind of fresh vegetables or fruits processes them at home and sells them at a local market. Figure 3 is a modified version of figures 1 and 2. In the first two models, the end users are local people, but in figure 3 the end users are tourists. They visit the place for sightseeing. 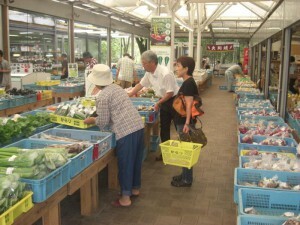 At the same time, they buy fresh produce or local specialties at cheaper prices than in their own towns. 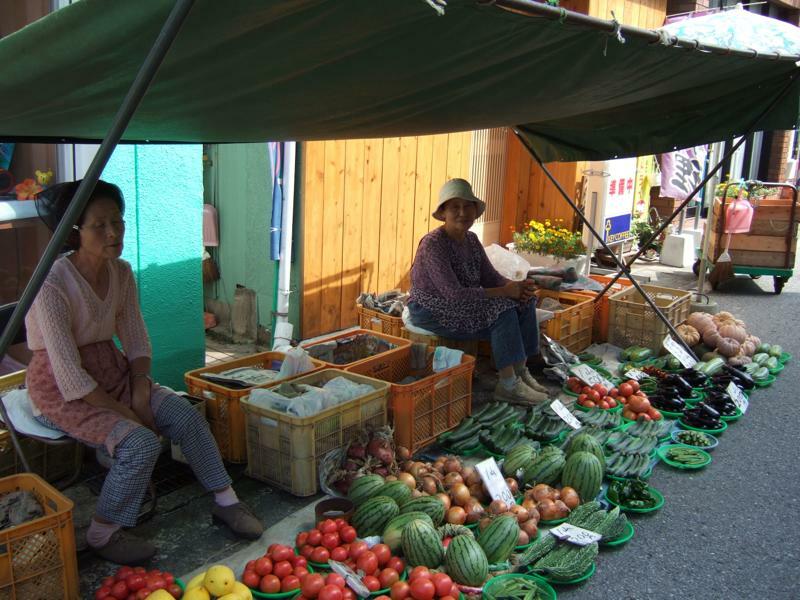 They spend money at the local market. This is a good community business which can contribute to improving the livelihoods of the local producers. 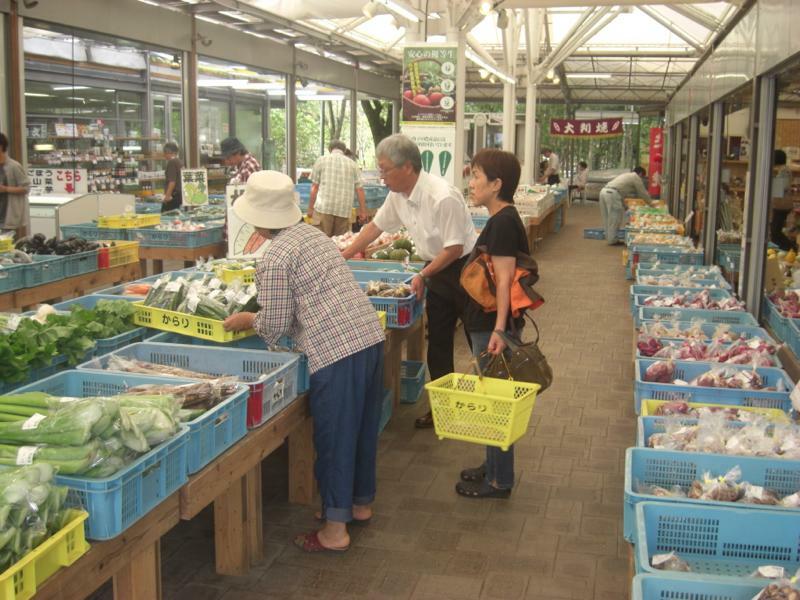 This shows a local market in Katsuura, Chiba, Japan. Since they put up tents and organize a market only in the morning (6:00 – 11:00 except Wednesday), it is called the Morning Market. 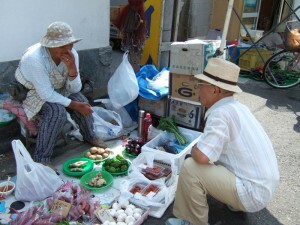 Local people who wanted to sell their fresh produce on the street organized the Morning Market Operation Committee. Anybody can become a member of the committee as long as they pay a registration fee. Only the members are allowed to sell their products on the street. In addition to the registration fee, they have to pay an exhibition fee, depending on the width of the space that they want to use. There are four different exhibition fees: 1 X yen for a width of less than 0.9 meters; 1.5 X yen for a width of less than 1.8 meters; 2.5 X yen for a width of less than 2.7 meters; and 3.5 X yen for a width of less than 3.6 meters. This morning market is well organized, and the street is not messy at all. 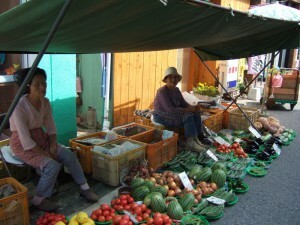 The registration fees and exhibition fees are used for the operation of the morning market, such as for cleaning the streets and holding a year-end party for the members. 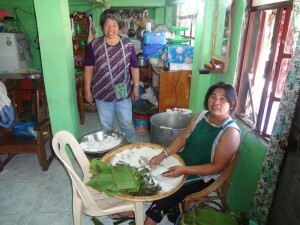 In Bontoc, Mountain Province, Philippines, there is a woman who is making rice cakes called Patu Patu. 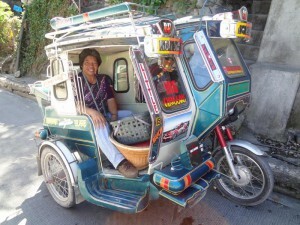 She sells them at the bus terminal, and earns a lot of money. Patu Patu are traditional local sweets made of rice paste wrapped with banana leaves. She makes Patu Patu at home, and carries them to the bus terminal, where she sells them every day. Since local people like Patu Patu very much, they buy them for their snacks before getting on the bus. Other than passengers, a lot of local people come to the bus terminal to buy Patu Patu from her. Her Patu Patu business is really booming. With the money she had earned, she was able to send her children to college. 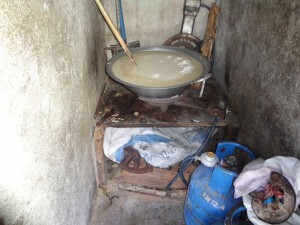 This is another example of the Local Production and Local Consumption model. 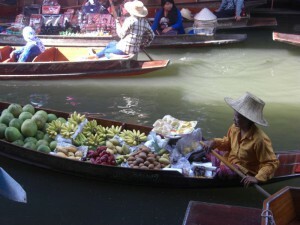 In Thailand, there are a lot of floating markets. Among them, the Damnoen Saduak Floating Market, which is 100km southwest of Bangkok, is very large and famous, and its exotic atmosphere attracts a lot of foreign tourists. 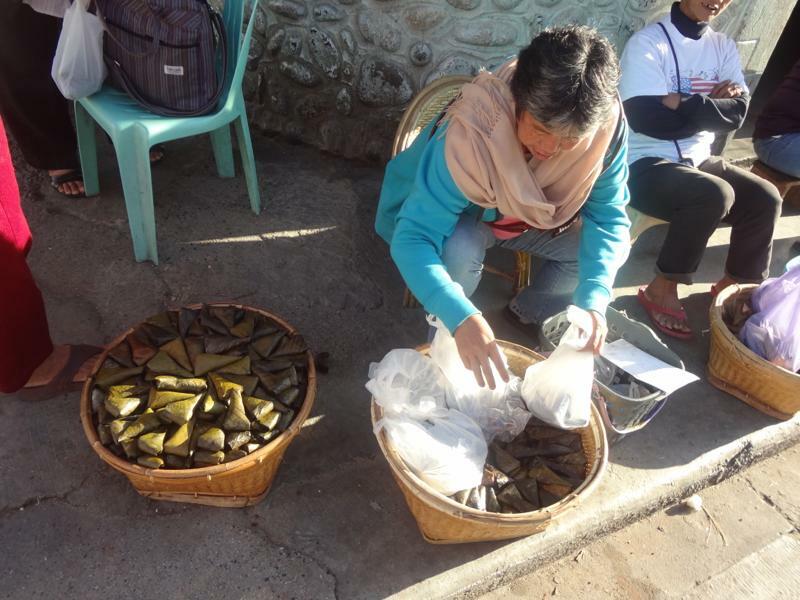 Every morning, a lot of local people living in the area bring some products that they produce to the market, and sell them to local people and foreign tourists. In this floating market, the exotic atmosphere adds value to the local market, which makes it possible that locally produced products are consumed by both local people and tourists. The Thai government provides some support for the market. 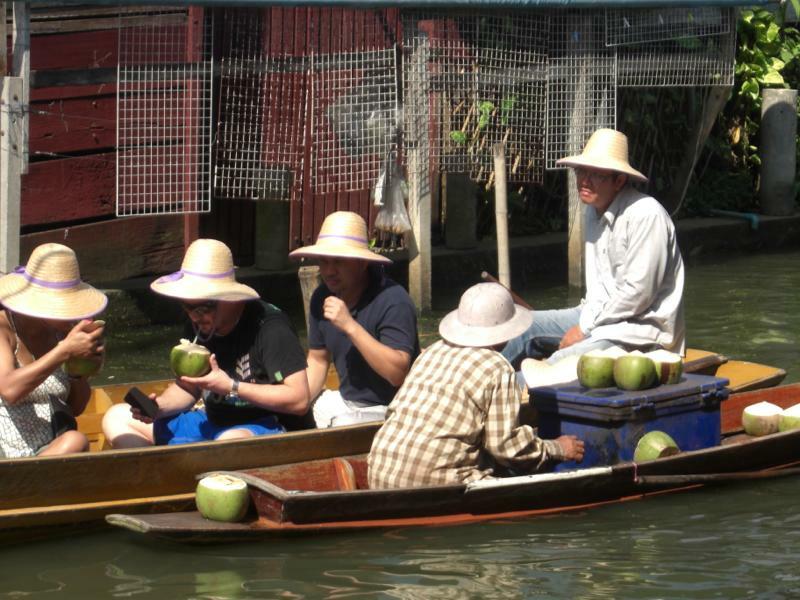 For instance, the local government assigns police officers there for security, and the Ministry of Tourism advertises the floating market in their tourism promotion strategy.